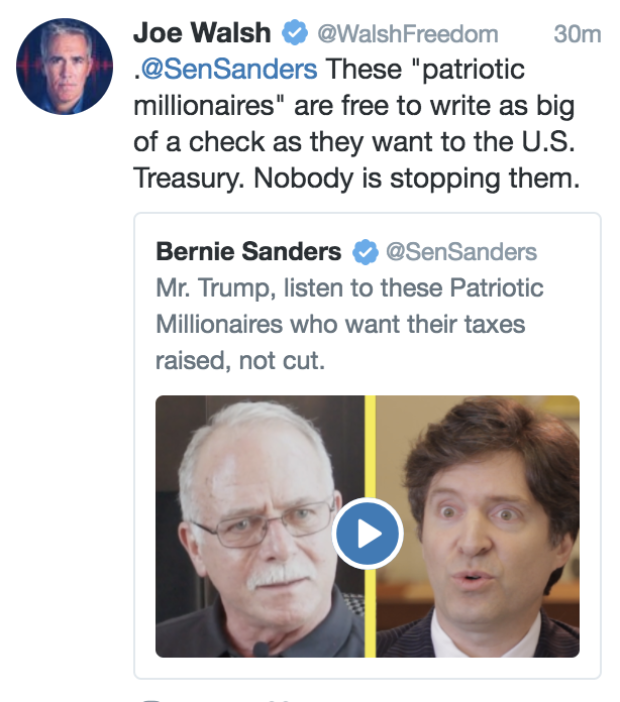 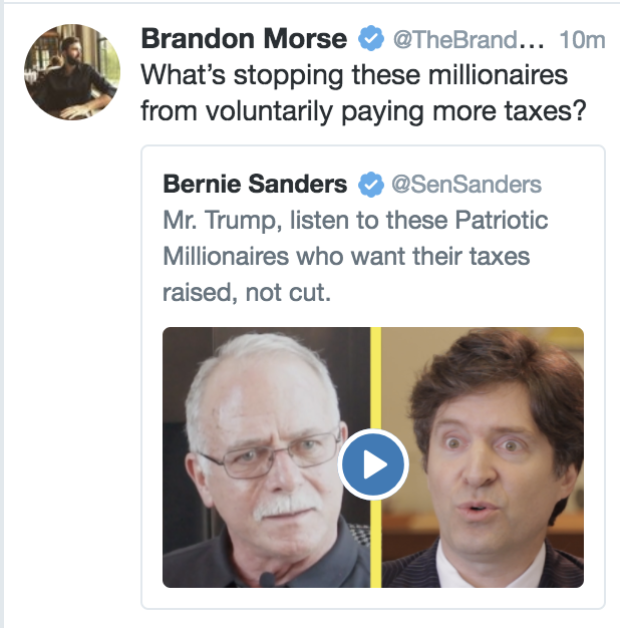 Vermont Sen. Bernie Sanders released a video Thursday on social media that showed a number of millionaires asking for higher taxes in response to the GOP tax cut, which cut taxes for over 80 percent of America, including some wealthy Americans. 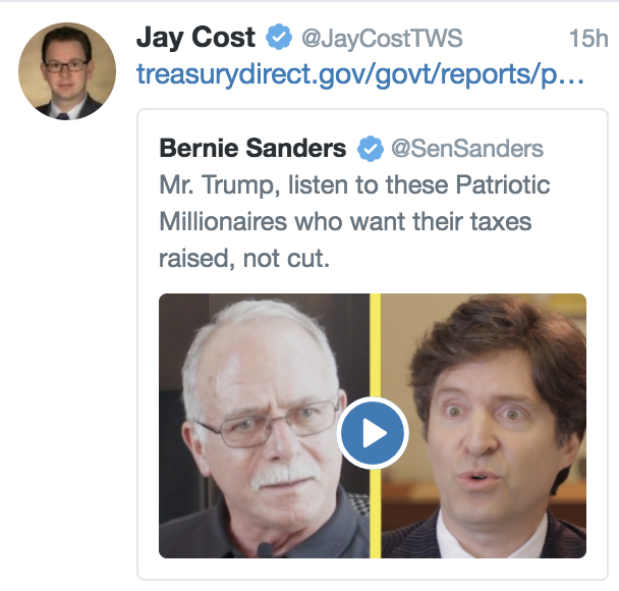 The video consists of rich men sitting down and saying lines like “tax me,” “I want to be taxed more,” and “you should raise my taxes.” The video then devolves into rich white guys feeling guilty that they are rich white guys. 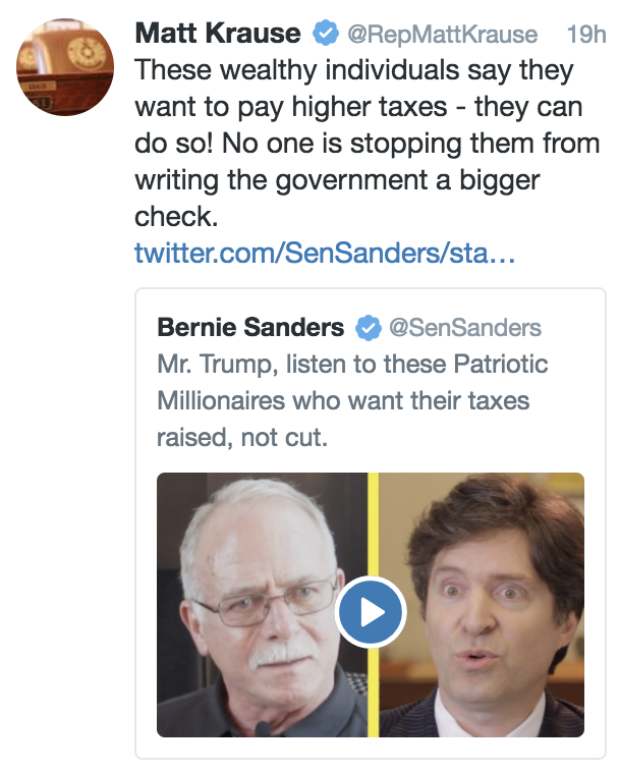 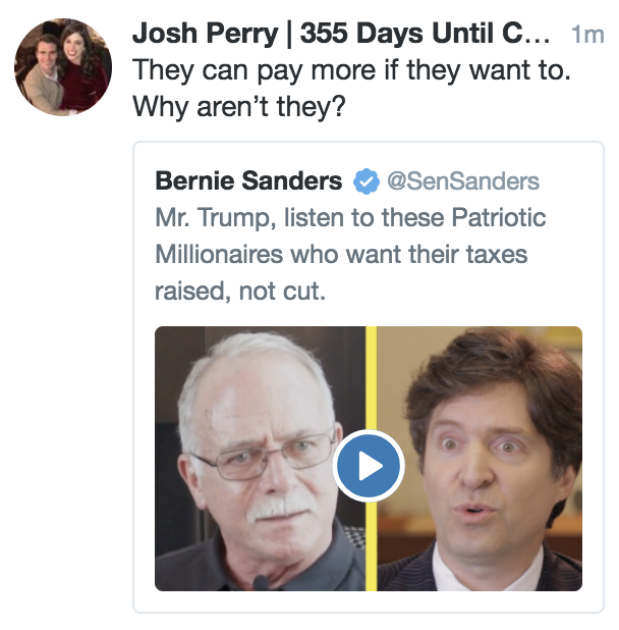 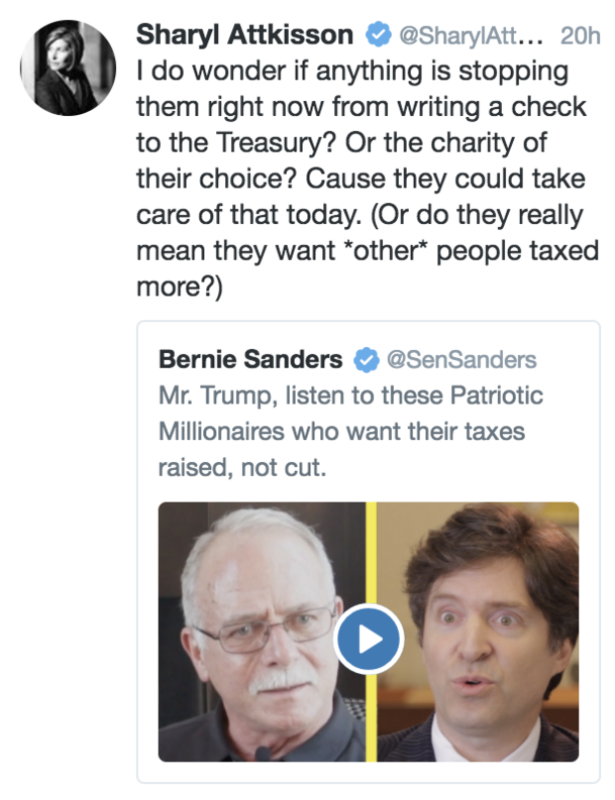 Many on Twitter had the exact same response: People are free to pay as many taxes as they’d like. 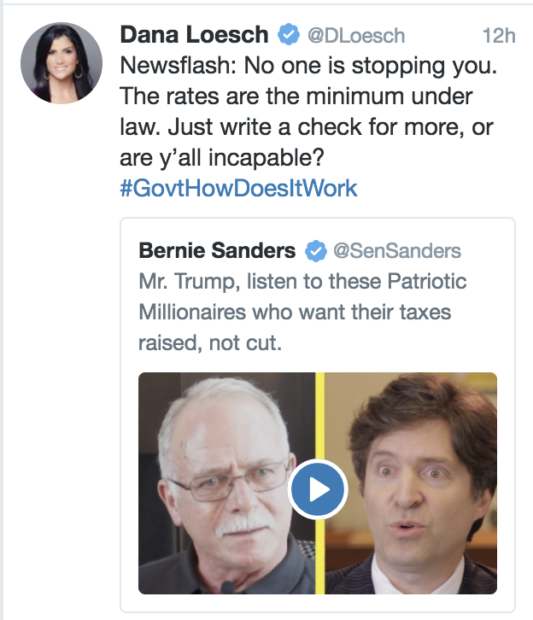 The government will always take your money.